Although the draft of Seeking John Campbell had been completed I felt a compulsion to visit Argentina to research a few loose ends and to understand where and how the families of the three John Campbells had lived. In March 2014 I spent a month travelling to remote locations in the Argentine searching for information and properties. Each of the images comes with a map link where you can zoom in to the green arrow and see for yourself how remote and inaccessible these places were. Estancia La Juanita is now a B&B lodge but it was built in the 1830’s by the brother of Juan Manuel de Rosas the Governor of Buenos Aires Province. When de Rosas was overthrown his family was exiled and much of their property was sold off. James Burnet, the maternal grandfather of John Burnet Campbell, bought the property with others in 1853 and named it Estancia La Adela. I stayed here and enjoyed a wonderful evening with the current owner Josefina. 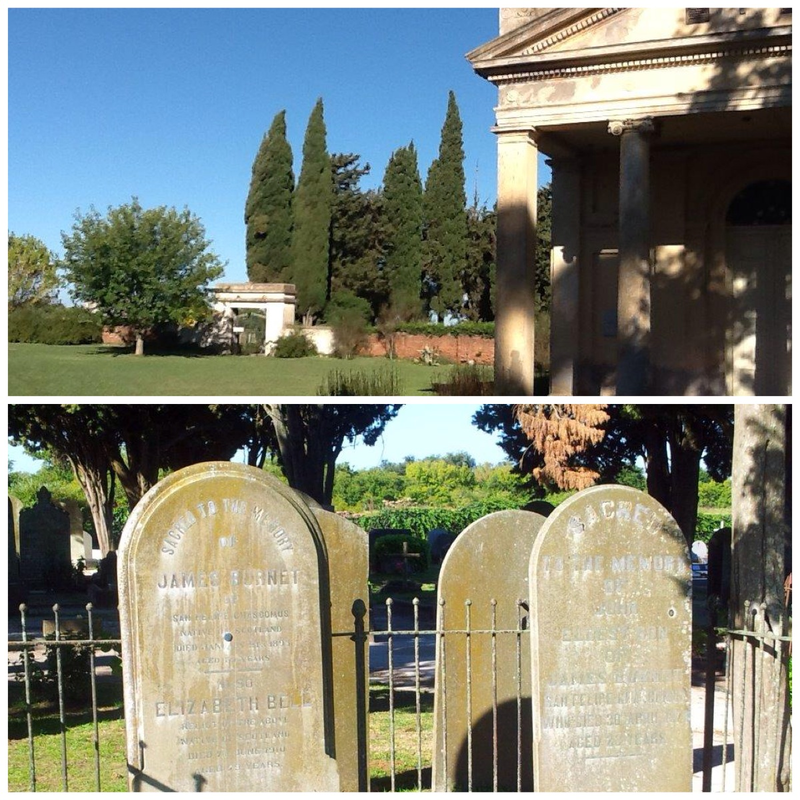 12 miles away on the outskirts of Chascomus and bordering the northern limits of the old La Adela estate I found St Andrew’s Scots Presbyterian Church of Chascomus and the British Protestant Cemetary. The Church was opened in 1872 and built by subscriptions organised by James Burnet and others. James is buried in the cemetary. This entry was posted in Uncategorized and tagged british cemetary, chascomus, estancia la Adela, estancia la juanita, Seeking John Campbell, St. Andrews scots church. Bookmark the permalink.